Tangled and True: raspberry kids. I love one stop shopping. It saves time and money, and when it's combined in a well rounded boutique it really is about as good as it gets for me. Enter raspberry kids. I recently came across this web boutique and am amazed at the selection, quality and overall appeal. They have you covered from clothing to feeding to decor. They feature brands that you know and love, dante beatrix, babylegs, redfish kids, boon and more. Their tagline "fresh. healthy. fun." is the criteria they use when finding their products. There is nothing in their shop they wouldn't buy, want or need for their own children, which is reassuring to me. Anything I choose comes with their stamp of approval. 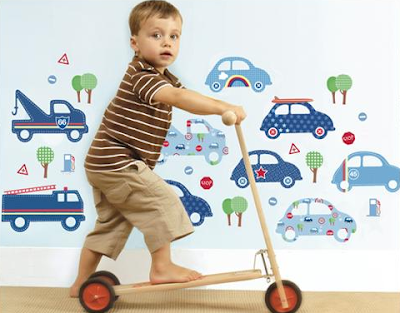 I am currently loving their Chipipi Wall Stickers from designer Samantha Peters. In fact I think they are genius. Removable and reposition-able they have been a hit in our playroom. The girls love making new designs on a daily basis, and I can breathe easy knowing they won't damage or leave a sticky residue on my newly painted walls. They're the perfect way to brighten your child's room or playroom and good for hours of entertainment. Available in three different sets Red Robin, Drive Time and Butterfly Patch. $79.99. Thanks for the shout out Tangled and True. 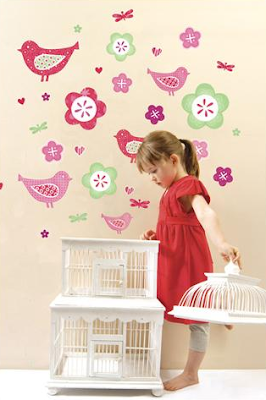 Our kids love decorating (and redecorating) with the Butterfly Patch designs. They adorn a wall in our dining room! Have a fresh, healthy and fun day everyone!